I’m primarily a macro photographer. And I’ve noticed certain characteristics of macro photography that make it distinct from other photographic genres. These might not be obvious to the newcomer, but can be significant in the long run. So I’ve compiled a list: six reasons why you should be a macro photographer. Before I begin, quick note: if you find all (or some) of these reasons appealing, then maybe macro photography is the thing for you. And if that’s the case, I encourage you to subscribe to this blog, where I will be offering a number of things over the coming months (totally free!). For instance, I’ll be offering instructional content, both for the beginning and the more advanced student of macro photography, in which I take you through techniques that will help you grow as a photographer. I’ll also be offering photographic exercises, assignments, and challenges, designed in response to some of my struggles–so that you can improve faster than I ever did. And I also intend to take a very hands-on approach to this blog. At various points, I will encourage readers to submit photos to me, for comments and critiques–again, totally free, no caveats! Helping others to grow as photographers is simply something that I enjoy. So, without further ado: six reasons why you should become a macro photographer! 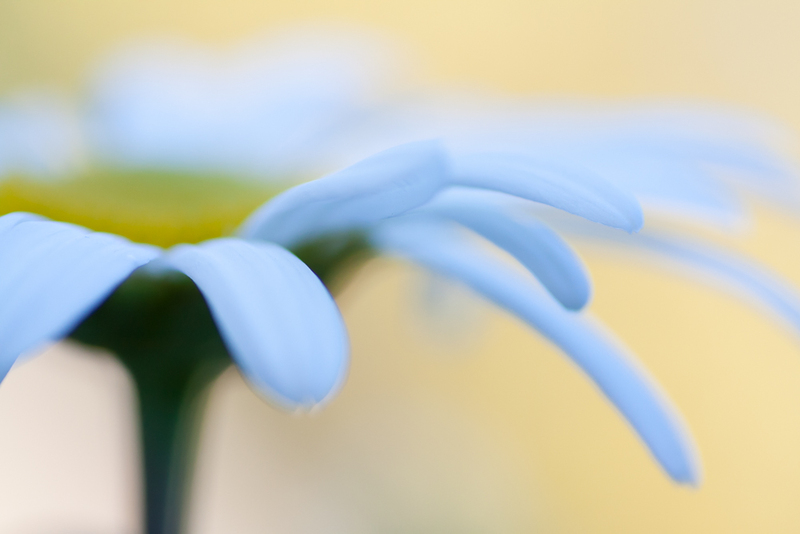 Unlike many genres of photography, macro photography subjects can be found within minutes of your home. Flowers, trees, shrubs, insects: these are the ideal subjects for a macro photographer, and they exist all around us. It might be as easy as stepping out into your garden, or walking up the street to the neighborhood park. Even if you can’t think of a good location off the top of your head, try a Google search for local parks and nature areas. If you’re lucky, maybe you even have a nearby botanical gardens. Wherever you are, I can almost guarantee that you can find some excellent places to shoot. Just want to find some subjects and start shooting? Then macro photography may be the thing for you. Not only are good locations easy to find, but there’s not much advance scouting or detailed planning required for a shoot; you can do macro photography in several different types of weather, and the flowers will stick around, regardless of the time of day, regardless of the crowds. With macro photography, it can really just be about getting up and out! Of course, certain subjects may require more careful preparation–but in general, this isn’t something that has to be on the macro photographer’s mind. Certain forms of photography can be quite physically demanding. For instance, it’s not unusual for the bird photographer to spend several hours crouched in the mud, crawling towards that elusive sandpiper on their elbows and knees. Macro photography? Not so much. Once you’ve found your subject, you’re free to explore it from various angles. Standing, sitting, kneeling, lying down; all of these are potential points of view for the macro photographer, and you can choose as many or as few as you like. Are there advantages to spending time on the ground like a contortionist, attempting to make that subject go in front of that background? Certainly. But is it necessary? Absolutely not. If you’re a busy person (as most of us are) you may have trouble carving out time to actually do photography. You’re working, have kids, trying to keep up a decent social life…Maybe you wonder if you really have time for a hobby. Well, the thing is: macro photography doesn’t have to be intense, involved, solitary. Macro photography doesn’t require hours of waiting, or long journeys off the grid. Nope! 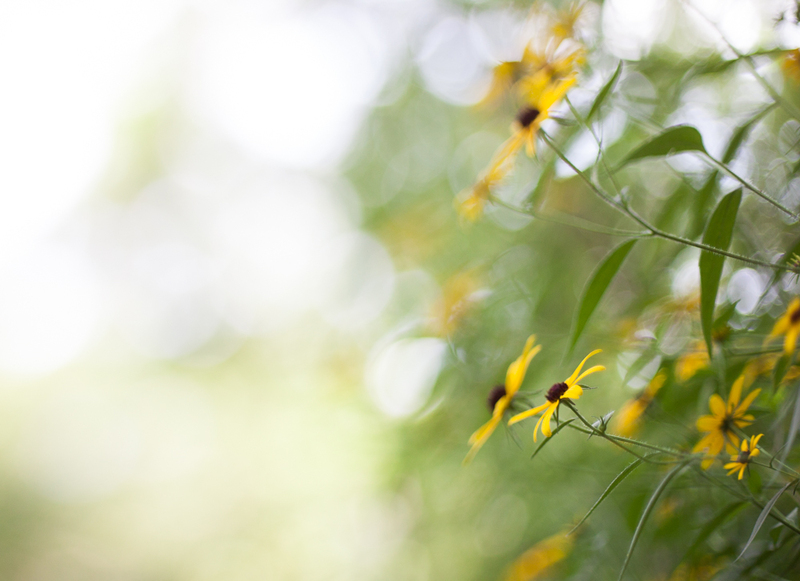 As follows from Reason 1 and Reason 2, macro photography can be done while having a walk in the woods, or at the park. Which also happen to be ideal locations for social outings. Try bringing a friend along! Many types of photography–especially nature photography–are best done during the “golden hours”: early morning and late afternoon. But for some of us, these aren’t the ideal times to be out and about. During the week, we’re too busy, and during the weekend, maybe we want to sleep in, maybe we’ve got things going on. Which is no problem for the macro photographer. See, you can get fantastic macro images with a rather common type of midday weather: cloudy skies. When those clouds roll in, the light becomes diffused and soft–which is ideal for capturing evenly lit images of flowers and small nature scenes. And you don’t have to ruin that nice long weekend sleep-in to get it. But macro photography will give you that push. It’ll force you outside, make you start taking walks, breathing in that fresh air. Carefully observing the trees and flowers. Appreciating nature. Even if you feel that this isn’t something that you want at the moment, I encourage you to try. Sometimes, it takes actually doing an activity before you realize how much you need it. When I do macro photography, it can be almost meditative. Because it forces me to take a second, to stop, to think about the natural world that exists around us. To figure out how to communicate it through a single image. It’s powerful stuff, and makes me feel more at peace. Macro photography is an excellent path to follow. The subjects are easy to find, the conditions needed are flexible, and it’ll be good for your overall well-being. Of course, even if you find none of these reasons appealing, you may still like macro photography. Maybe you want to spend time searching for locations off the grid, or you want to stretch your body to its limits. The thing is, macro is a flexible genre. There are opportunities to take it in many different directions. Just because something isn’t required doesn’t mean it can’t be done. So I encourage everyone to give it a try. It may be just the thing you need…as you start your photographic journey. 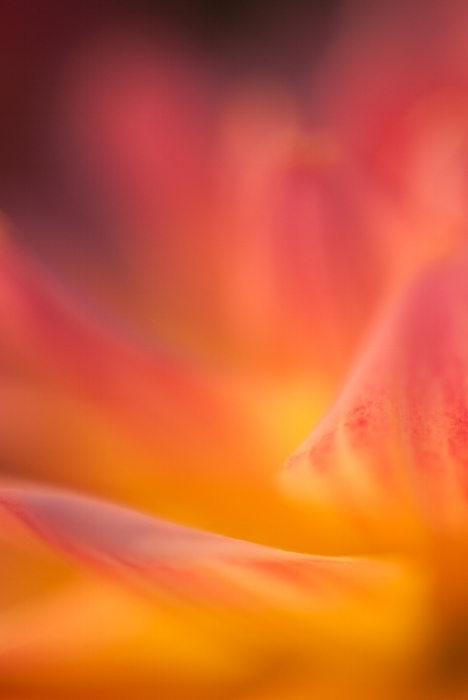 The Dahlia abstract is very nice. Hi, I’m primarily a Macro photographer, i.chose it because I suffer from PTSD and that helps me bring my anxiety down due to breathe.slower (for insects) etc.